When two variables dance in tandem either make similar moves or move in opposite directions they are known to be correlated. Correlations is an important concept in statistics and analytics. It is useful as it relationship between two variables which sometimes can be useful. In demand forecasting one of the approach used is causal demand forecasting models. The casual factors for such a model is selected from variables which have high degree of correlation with the dependent variable. For example high temperatures can result in high sales of ice-creams. This could be an obvious relation. However in some case the correlation between variables may not be obvious. Only statistical analysis show the hidden relationship. 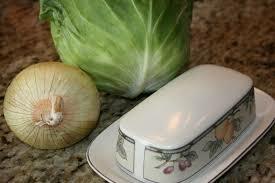 There was an interesting incident in India where in the price of cabbage increased because of increase of price of onions. The relationship between the two may not be obvious but it so happens that people start to substitute cabbage in food preparations. Another very apt example is the correlation of a stock price with the index movement. This is known as the beta of a stock. Positive beta stocks move in the same direction as the index and a negative beta stock moves in the opposite direction. Investors use this concept for hedging and build their investment portfolio.